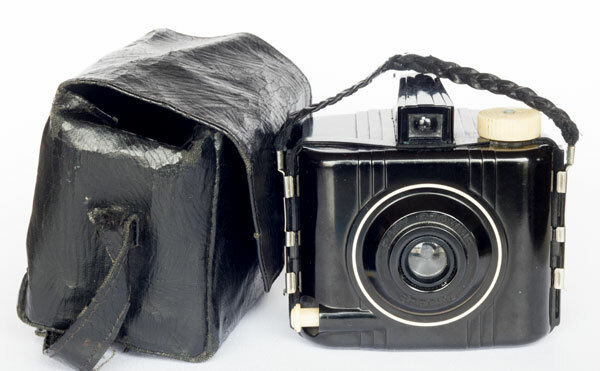 The crisis of the 1930s, and the Great World War that followed, led to the launch of many low-cost but highly creative cameras. 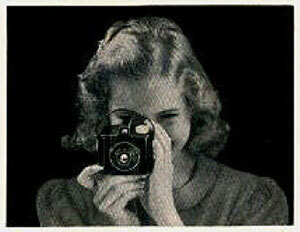 I think this is the case with the Kodak Baby Brownie Special. 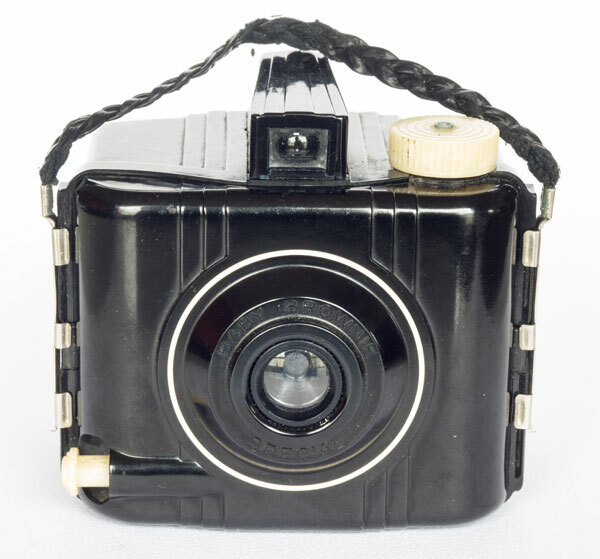 It came on the market in 1939 and must have won audiences who could no longer buy and make copies with 6 x 9 cm cameras like the Zeiss Ikon Box Tengor or Kodak Brownie No. 2, which was released in 1901 discontinued in 1935. One might think, why not go straight to the 35mm format, which is smaller? 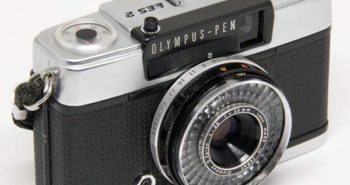 The problem is that 35mm cameras were still more complex and expensive, if not for the models offered by major manufacturers, Leicas, Contaxes and Retinas, but also for the need for enlargement to obtain prints. The format produced by the Baby Brownie Special is 4.0 x 6.5 cm (1 5/8 X 2 1/2 “), perhaps the limit of what is acceptable for contact printing, which is much simpler than enlargements. 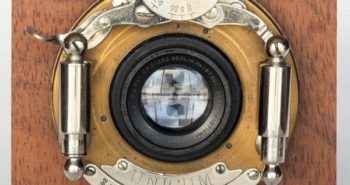 At antique fairs, many family photos can be found in that format. 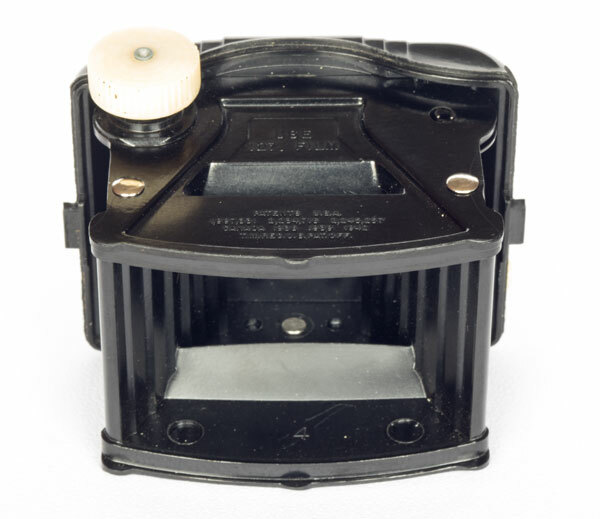 The optical viewfinder offered by the Baby Brownie Special is infinitely more comfortable to use and frame than the type of mirror that fitted most box cameras, such as the former Brownie #2. 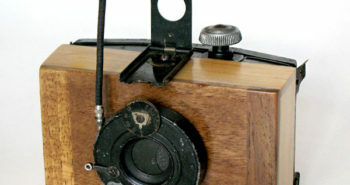 The Baby Brownie Special uses a lens that is simply a meniscus (concave face inwards and convex outwards of the camera). 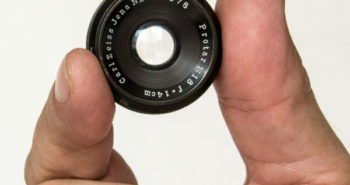 To aid improve image’s sharpness sharpness, it introduces a gentle curvature in the film so that the farthest part of the lens (horizontal orientation) is brought closer and becomes sharper because of this artifice (photo below). 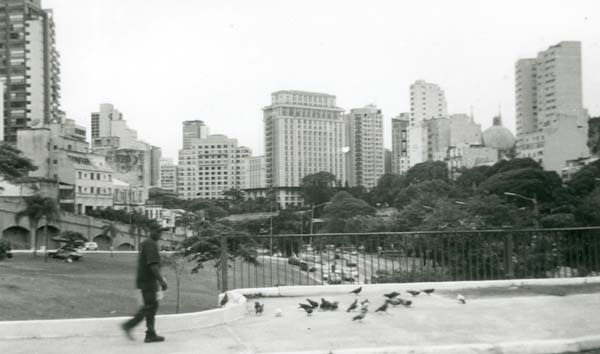 The film used is the 127, slightly smaller than the 120 as seen in the picture below. This is a somewhat difficult format to find these days. I believe that it is only possible to order online. Under the brand Efke, of the Croatian company Fotokemika, the 127 is still offered on some sites. 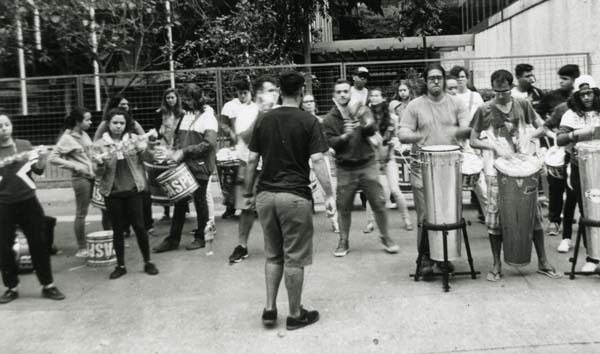 Here you can, alternatively, find a complete tutorial about respooling 127 from a 120 film: Respooling 127 from 120. That’s what I’ve done and it’s how the photos in this post were produced. 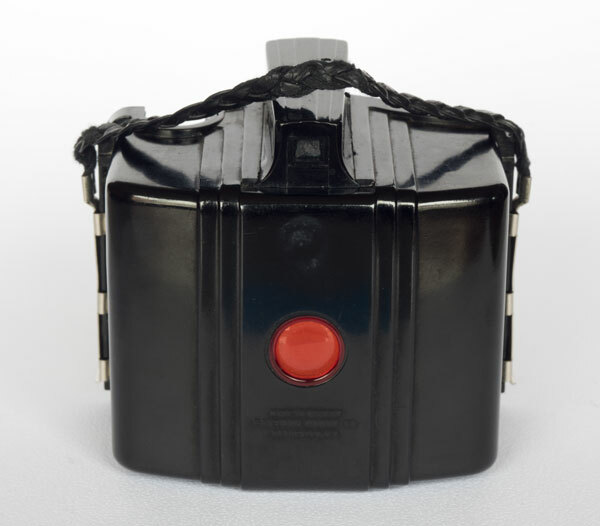 There is no protection against double exposure and the film advance is performed by observing the red window where the frame numbers goes by as you turn the knob on the top of the camera. It takes a little discipline for not skipping a frame or expose them more than once. 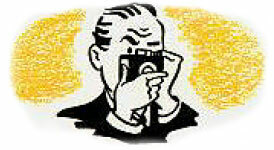 It is not “necessary” to have a lightmeter, as it only offers one speed, about 1/40 s and one aperture f / 11. It is not “necessary” tripod either because there is no tripod thread. It’s a camera basically for use on sunny days with ISO 100 film or overcast days with ISO 400 and the photographer still needs to think about whether or not to make some adjustments when it comes to development. There was an export model that offered “Time”, shutter open while holding the button pressed, but this is not the case for this Brownie. In spite of so much austerity it came with a very nice leather case and a braided leather handle that makes it like a small bag. 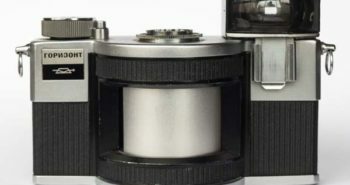 To load / unload the film, the background comes out completely from the front of the camera when the metal clips are slid down on both the sides. The body seems to be bakelite, but if it is not, it is a plastic of very good quality because it is still perfect with 70 or more years of age. This, together with the design, is what makes it perfectly lightproof. In use, if you can live with the fact that with the Baby Brownie Special, it is not the camera that adapts to the scene but rather the scene that has to adapt to the camera, you will be very satisfied with the results. It is a camera to record memories, walkways, meetings, outdoor parties and events of this type. 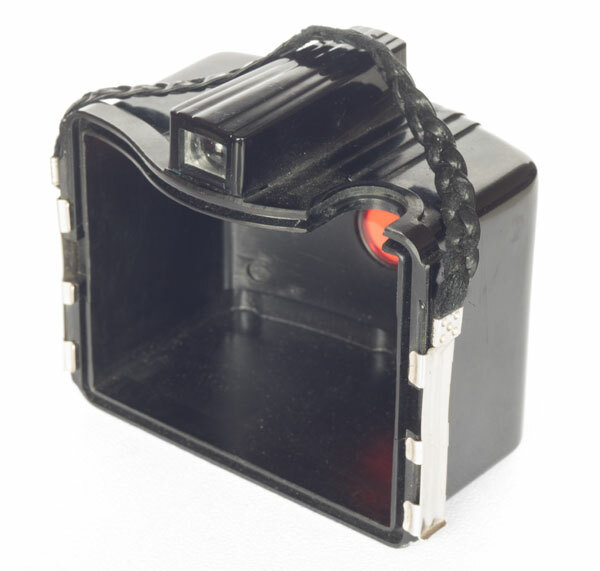 The photo complements the experience you had at the time you took it and can re-enact it in the future when you open that little box from a drawer. If that is the purpose, the lightness, the design that reminds a toy and the obligation to make simple, make the use of this camera very rewarding. 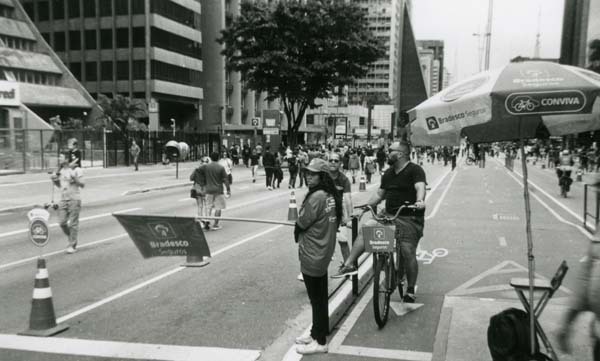 And since it is not really a camera for those looking for that super sharp image and control of the tonal range, it ends up enticing experiences that make the lack of control part of the game. 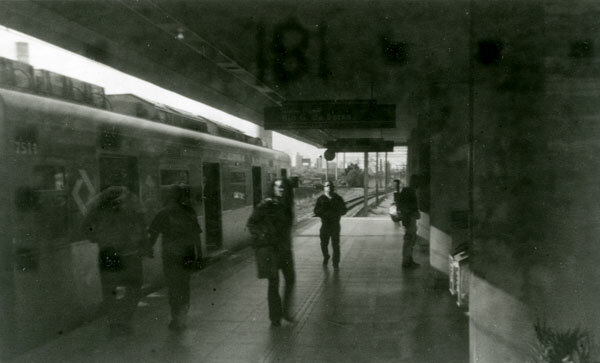 I had an Efke film that had been expired for years and knew that part of the print on the protective paper had reacted with the emulsion and was “stamping” on the image. But I did not rejected it to see what I was going to get. It was obviously with a lot of condescension but not without some cheerfulness that I thought some photos deserved an enlargement. This is the case of this one below. Note that in addition to some stains, there is a number 8 on the ceiling that was not there.